You can really make a difference to what the ACCB can achieve! 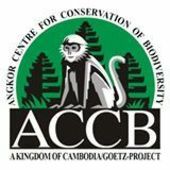 Founded by Allwetterzoo Münster, the ACCB is one of Cambodia's first conservation centres. We are taking care of more than 500 rescued animals and provide adequate care and rehabilitation. Many of them can be released, but some need to stay with us because of permanent disabilities. We also manage conservation breeding programmes to prevent highly threatened species from disappearing from this planet forever. For your kind donation, please use this online donation form of Allwetterzoo Münster. A 100% of all funds will be directly transferred to ACCB! We use all funds and donations most efficiently on site! Donors from Germany may receive a donation receipt for submission to the German tax authorities - please check the respective box in the form. Your support enables us to continue our vital work to preserve Cambodia's wildlife and biodiversity. Your contribution is greatly appreciated - let's save Cambodia's wildlife! 28.03.19 I visited ACCB this time last year, and was so moved and impressed by the work done and the care of the animals. 17.03.19 thanks so much for your great work!